WOW. As the Black Friday/Cyber Monday weekend shopping extravaganza raged on, I realized I was buying a lot of stuff. I made purchases from Ulta, Sephora, Silk Naturals and Meow Cosmetics. Now that it’s all here, I’m really taking a hard look at my spendy ways. Yikes! is all I can say. As of today, I am officially on a NO-BUY. No more cosmetics purchases until I use something else up! I did order the Naked 3 palette, which will be arriving soon, but that’s the last purchase in hopefully a long time. I have my fingers crossed that I’m resourceful enough to make my enormous makeup stash work for whatever purpose I need. Here’s part one of my hauls, focusing on the big box stores, and next time I’ll post about my indie hauls. 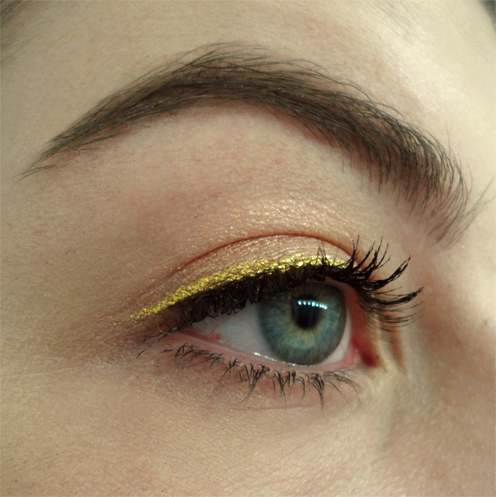 The liner is fabulous. 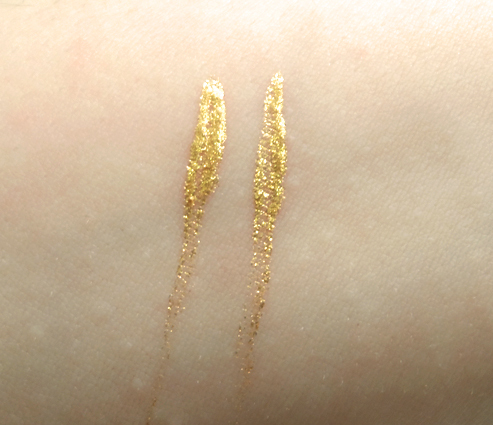 It’s not waterproof at all, but it is a really dense, bright, awesome gold glitter liquid eyeliner. I’m on the fence with the gloss. 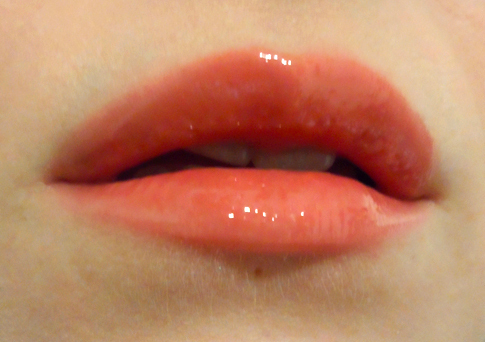 It’s very opaque and pigmented and shiny. I really like how it looks on, it’s really smooth and as shiny as MAC lipglass, however it is very thick and moderately sticky. 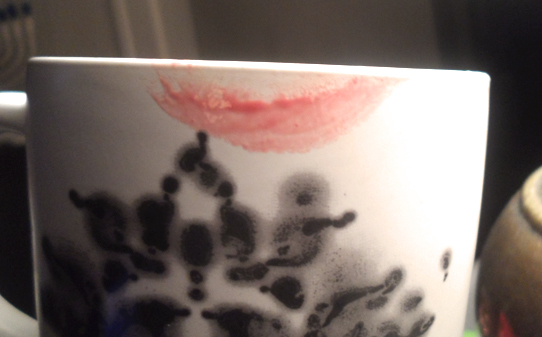 Those are two big reasons why I stopped wearing lipgloss, so I’m not sure if I’ll wear this often. 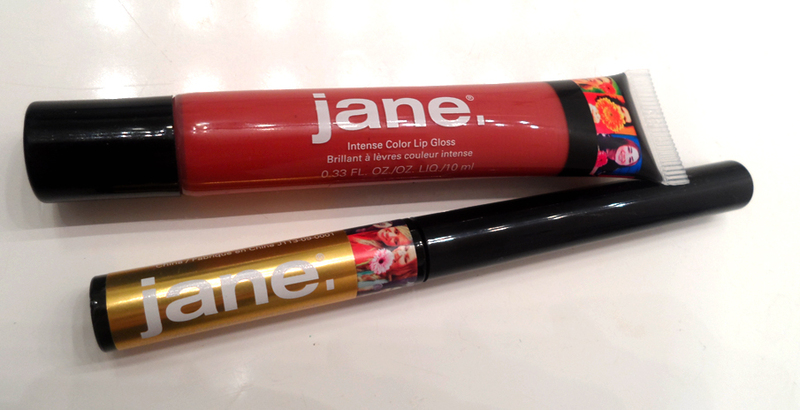 If you’re a lipgloss girl and don’t mind the typical lipgloss feel, then this is a great affordable option. I’m just listing my (semi-final!) purchases here because there’s too much to review, there will be further reviews and looks in the coming days (and months, since I am lazy and this is enough makeup to last forever). These were all $10 on Black Friday, so you can see what a deal they are. A few are still available! 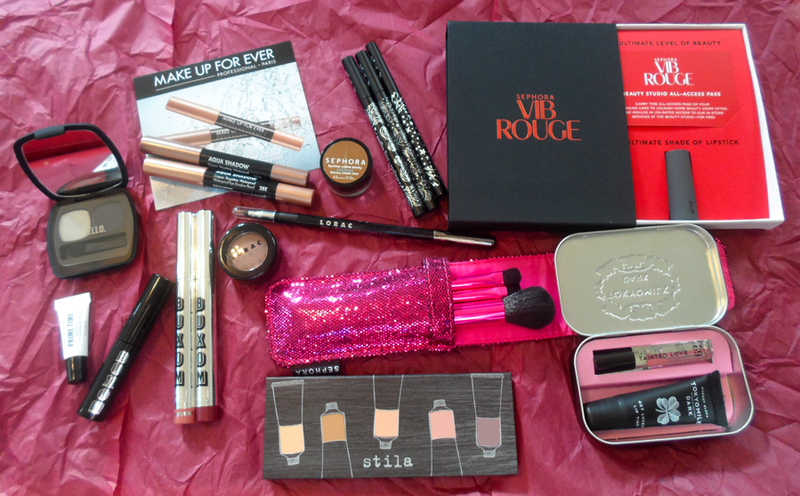 I also got the VIB Rouge welcome kit, because they needed to rub it in that I spend TOO MUCH MONEY ON MAKEUP. « Courtroom Drama: Pink and Grey Eyeshadow. I did pretty well with avoiding buying things over Black Friday/whatever-day sales events, mostly because I’d promised my guy I would not buy anything… I got the OK from him for getting sunscreen from Birchbox, but that was it. Reading your post though… I love TokyoMilk Dark. I’m fighting an internal battle right now to snag that. It’s funny how living with someone keeps you honest! I told my husband that I was trying not to buy anything. That way I’m accountable because he’ll see the package and give me the side-eye if I slip up!